This is a demo for our last painting in Watercolour evenings, Winter 2012. 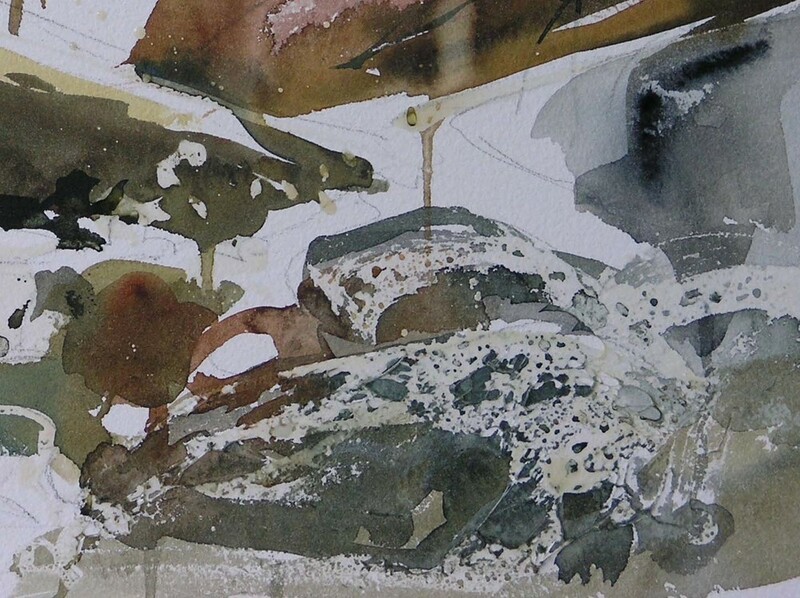 I've applied frisket (masking fluid/ rubber cement) as a way of adding texture and protecting the water running between the rocks and over the fallen logs. I don't use masking fluid very often, but when I do I like to apply it using the same descriptive brushwork I use to paint positive shapes. Another nice things about using masking fluid is that you can create some interesting textures by rubbing some of it away, creating holes and tears in the rubbery surface. If you do this a few times, letting the paint dry completely before rubbing more frisket away, you can build up several layers of texture giving a richness to the finished piece. Please note: rubber cement can be extremely harsh on your brushes! Choose a well used brush and condition it first by massaging a little diluted dish soap into it. Leave a thin coat of the soap on the brush when you dip it into the frisket. Then use it with abandon - paint the frisket on with the tip of the brush, drag it along with the side of the brush, flick and spatter to your hearts content!Have fun and see you on Monday November 19th for the last session to finish this painting. 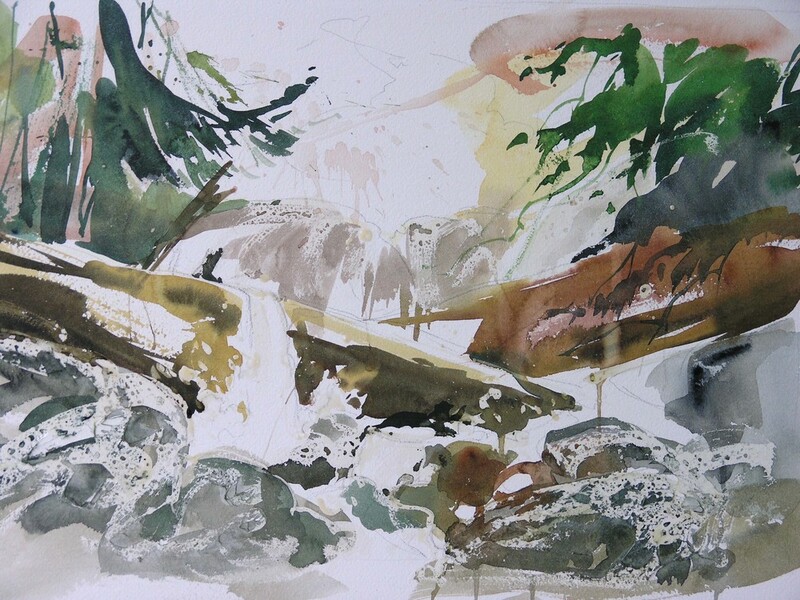 For my Watercolour evening class in Squamish, here is the original painting "Base of Shannon Falls" and a work in progress of the lesson we worked on tonight. See you next week!